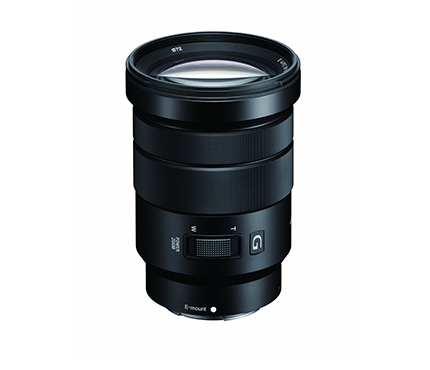 Sony’s E PZ 18-105mm F4 G OSS lens fits into Sony’s higher-end G-Series lens line-up, with two ED glass elements, three aspherical elements, and a constant F4 maximum aperture. 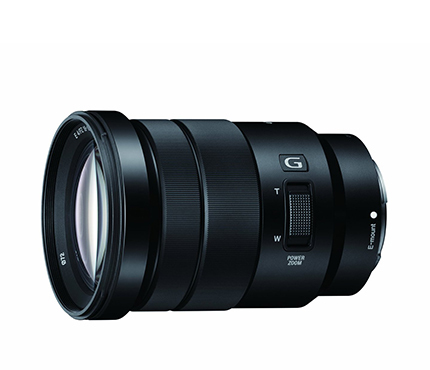 Using the same technology found in Sony Handycams, the lens features floating axis construction, which keeps the zoom smooth and quiet while shooting video. The 18-105mm allows the user to zoom the lens with a lever on the side, with full control over the speed of the zoom, while maintaining a good handle on the camera body. It preserves its size whether it’s at the widest or most telephoto focal length. Since an independent focus ring is provided, the zoom ring can be used for power zoom control even while focusing manually. Built-in Optical Steady Shot image stabilization can significantly reduce image blur.